NEW YORK -- Looking to get away? 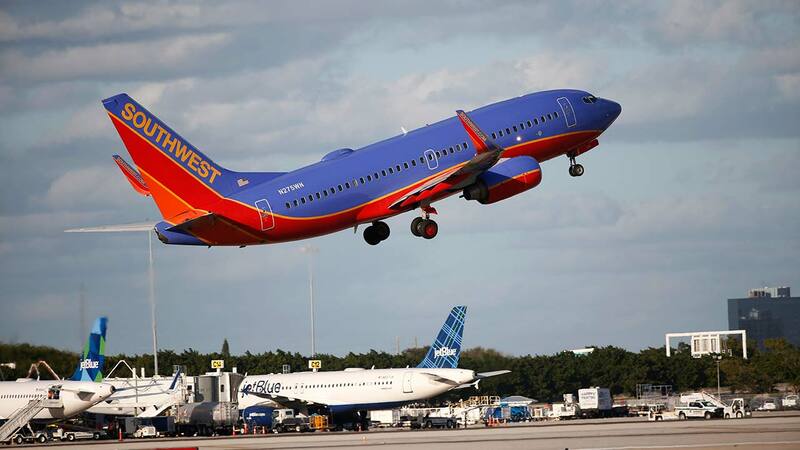 Southwest Airlines is selling one-way flights for as low as $59 from New York City-area airports. That means round-trip fares are under $100 before taxes. But you'll have to act fast -- ticket prices will only be that low for 72 hours. Now through Thursday, you can score $59 flights from Newark, New Jersey (EWR), to Indianapolis for $59, and $64 flights from Newark to Chicago (Midway). A $69 fare is also up for grabs from LaGuardia (LGA) to Milwaukee, Wisconsin. With prices this low, blackout dates do apply. Domestic travel is valid from October 31, 2017 to December 19, 2017, and again from January 3, 2018 to February 14, 2018. International travel is valid from October 31, 2017 to December 13, 2017, and again from January 10, 2018 to March 2, 2018. To see the full list of sale fares, visit the Southwest website.